Record Greenhouse Gases - Is 2 Degrees Still Possible? 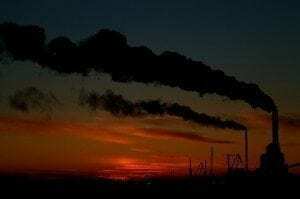 Record Greenhouse Gases – Is 2 Degrees Still Possible? Is the “aspiration goal” of a 2 degree limit to global temperature increase slipping from our grasp? The latest Greenhouse Gas Bulletin released last week by the World Meteorological Organization (WMO) revealed that global atmospheric greenhouse gases hit a new record high, rising 2.2 parts-per-million (ppm) from 2011 levels to an average 393.1 ppm in 2012. The rate of change accelerated in 2012 as well, up from the 2.02 annual ten-year average to 2.2 ppm. The volume of CO2 in the atmosphere is currently at least 41 percent above pre-industrial levels, before the wholesale burning of fossil fuels began. The WMO report also said that the current year-on-year upward and accelerating trend of greenhouse gas levels are on track to be 8 to 12 billion tonnes higher in 2020 than what is required to keep warming within the 2 degree Celsius limit scientists say is needed to avoid the worst of global warming in the coming decades. “The more we wait for action, the more difficult it will be to stay under this limit and the more the impact will be for many countries, and therefore the more difficult it will be to adapt,” WMO Secretary-General Michel Jarraud said at a press conference last week. For years scientists, analysts and advocates have called for aggressive climate action, warning of the “closing window” on global warming. Writing earlier this year in WRI Insights, Kelly Levin, Senior Associate of the World Resource Institute’s Climate & Energy Program, said that the most recent data suggests the developed world must commit to halving emissions by 2020 over 1990 levels to contain warming within the 2 degree target this century. Levin says that current emission reduction targets from developed countries only add up to between a 12 to 18 percent reduction from 1990 levels, far short of what is needed. So the window has not slammed shut just yet, but with each passing year the ambition and immediacy required grows, along with greenhouse gas emissions. Can we rise to the challenge of climate change? I could say “time will tell,” but there really is none left. What is clear, right now more than ever, is that what we decide to do today will determine the fate of many generations to come. Soon the hour will pass when we can no longer say there is still time to offset at least some of the worst consequences of climate change, but only hunker down for what we’ve brought upon ourselves.